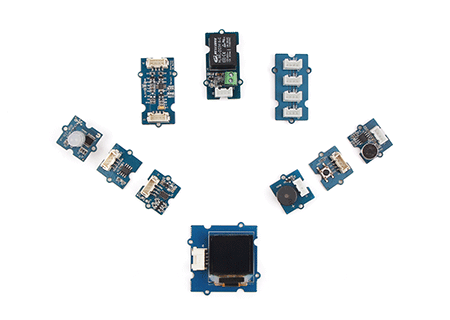 The starter kit for you to hook up quickly with the new SeeedStudio BeagleBone Green (BBG). It contains 10 Grove modules and we provide 3 step-by-step projects for you to get started quickly with all modules. 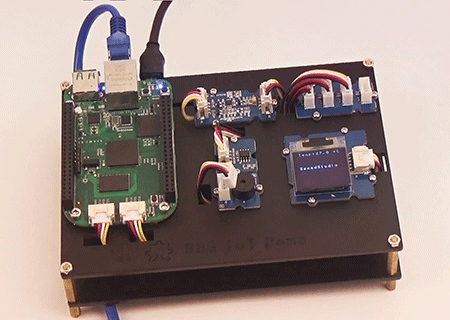 The new SeeedStudio BeagleBone Green (BBG) is a joint effort by BeagleBoard.org and SeeedStudio. It has included 2 Grove connectors, making it easier to connect to the large family of Grove sensors. A remote temperature monitor made with SeeedStudio BeagleBone Green (BBG) and Groves. You can upload the data to dweet.io and view the data on freeboard.io in real time. Check our Recipe to learn more. 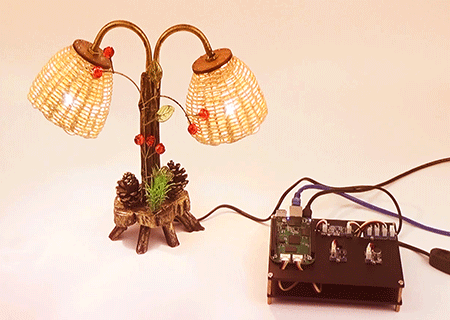 A Smart table lamp can be controlled through the button, the sound and the web browser. It was made with SeeedStudio BeagleBone Green (BBG), Grove - Relay, Grove - I2C ADC, Grove - I2C Hub, Grove - Sound and Grove - Button. Check our Recipe to learn more. Hi! ,the sensors and OLED dispay are compatible with zolertia Re-Mote? Hi Fares, it shall be compatible with zolertia Re-Mote. But we do not test it before. I see some examples about the Grove sensors and zolertia Re-Mote on internet. thanks.